3 Bedroom Duplex Apartment To Rent in London for £7,366 per Calendar Month (Calculated). 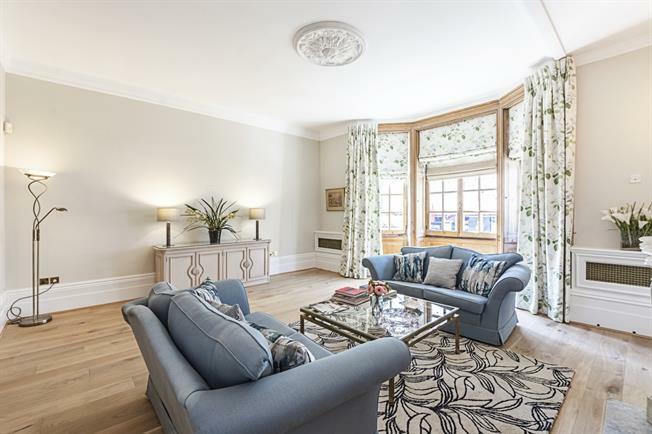 PREMIUM - This bright and spacious three bedroom duplex flat is situated within a beautiful period building with blue plaque status having been the home of sculptor Sir Jacob Epstein. The flat combines stunning period features including high ceilings, mouldings and large sash windows with a neutral, modern finish. The flat has recently been refurbished including new wooden flooring installed in the reception rooms which are flooded with lots of natural light and a new master en suite bathroom. The property comprises a spacious reception room with a separate dining area and separate kitchen. The master bedroom is bright and spacious with ample built in storage, a new modern en suite bathroom and a small walk in wardrobe. There is a further double bedroom with access to the private patio garden and an en suite bathroom with Jack and Jill doors allowing the bathroom to also be used as a guest WC. The third bedroom is a double bedroom with built in storage and a large en suite shower room with utility cupboard including washing machine and dryer. The patio can also be accessed from this room as well as separate access from the hallway. The property is offered on a furnished basis.